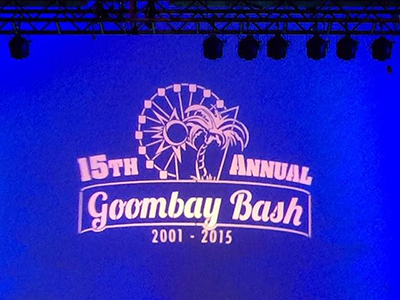 The 15th Annual Goombay Bash was a Remarkable Success! Hortons Home Lighting is a proud supporter of The H Foundation, a charity supporting basic science cancer research. Each year, they host a huge, Caribbean-themed fundraiser to further the fight against cancer. This year, the Goombay Bash enjoyed its 15th year on July 18. The night was filled with great music, gourmet food and exciting fundraising opportunities such as raffles, auctions and more. 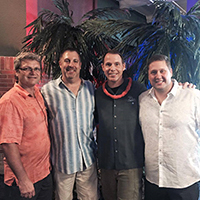 Guests came dressed in their finest Hawaiian wear, including flip-flops and leis, to party the night away to raise money and celebrate loved ones affected by cancer. The H Foundation raised $615,590 for basic science cancer research on the night of the event. This is more than they’ve ever raised at a Goombay Bash! This will support researchers working tirelessly to discover the key to curing cancer by providing supplies, research grants and more. We at Hortons would like to thank everyone who contributed to The H Foundation, attended the Goombay Bash or lent their support in any way. We’re so proud of our community and the impact we’ve made in the fight against cancer. For more information or to donate to The H Foundation, visit the Goombay Bash website.